I wonder if people recognize what their coping mechanisms are? Do they understand the impact? There are as many different ways of coping with stress as there are people, I’m sure. 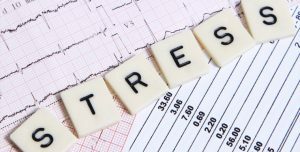 Do we really recognize the things we do to cope with stress for what they are: coping mechanisms? Lots of people over-eat or lose their appetite. Can’t sleep or want to sleep all the time. How many times have you heard someone (maybe you) talk about retail therapy? Or after a hard day at work having a drink? Other people ‘unknowingly’ create drama in their relationships or life in general. These are just a few coping mechanisms that we humans use to distract us from the experience of stress. Do you know what yours are? Wait before you answer that, let me share with you another little tidbit about stress and coping mechanisms, I think we have two different ‘levels’ of coping mechanisms. I think we have Level One coping mechanisms – the really visible ones – the ones we’re clearly aware of and are already trying (or thinking of trying) to keep under control. It seems to me that we also have a more covert selection of coping mechanisms we revert to – Level Two coping mechanisms – that we don’t always recognize for what they are. Because of that, these Level Two mechanisms tend to have a more significant impact on our lives the in long term. 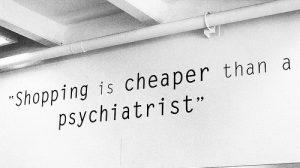 For example, someone who is clear that they use retail therapy when they feel stressed or have had a hard day/ week/ month may recognize that they have to keep the spending sprees to a reasonable minimum or they’ll get in some financial trouble. Maybe they’ve even gotten into trouble in the past so they’re a little more conscious of how quickly they whip out their credit card during times of stress. The thing is, if they don’t learn how to deal with the cause of the stress directly and learn how to feel powerful around it, then they likely have a secondary coping mechanism that they’re not totally aware of. Maybe they start snacking between meals and because they haven’t identified that as a coping mechanism and all of a sudden they find themselves 15 pounds heavier and still stressed. Once I really started looking at this topic, however, I noticed that I also tend to withdraw as a coping mechanism – consider this my Level Two coping mechanism. Now that I’m working on noticing my coping mechanisms (so they don’t creep up on me with unexpected impact – which just creates more stress anyway) I’ve realized that when I’m feeling under pressure I will withdraw. My ability and tolerance for being around other people in social situations are a lot less than usual. I would prefer to be home beside the fire with Netflix on or doing some other solitary activity. Now that I’ve recognized these tendencies are there, I can do something about them. It’s not until you see these things that you can do anything to make a difference. What’s your primary vice? What do you do more covertly? Mindless Facebook (or other social media) use? Bottom line, these are all methods of distracting ourselves from the stresses of our lives. When you step back and take a look, is it really worth it? Wouldn’t it make more sense to manage the stress directly? Now the question is: How? It’s not easy that’s for sure! Most of us have used our coping methods for such a long time that we don’t even notice them anymore, in turn making them harder to identify. 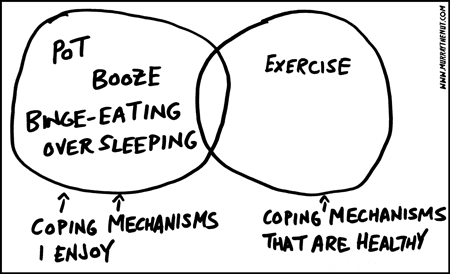 The first step is figuring out what your primary coping mechanism is. If you don’t already know, then when you stop and think about it I bet you can identify some type of behavior you turn to when things get hard or uncomfortable. 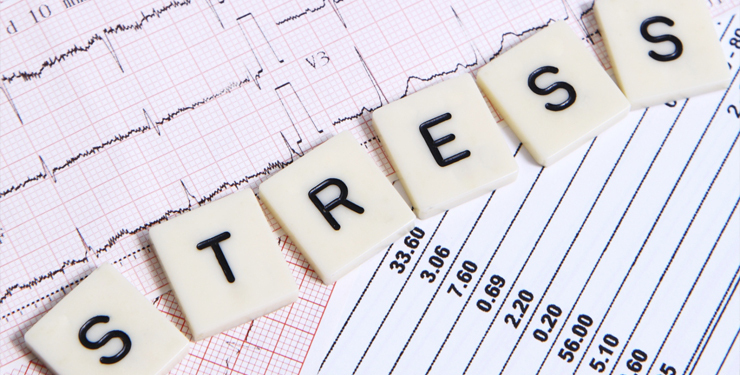 Next start to pay attention to when you’re using it – that’s a sure indicator your stress level is on the rise. Notice what else is going on in your life. Are you worried about something? Are you feeling out of control or powerless in some aspect of your life? Stress usually arises when we feel out of control about something or like we can’t do anything to change or influence the outcome. Regardless, once you know what you’re stressed about and how you go about coping, it’s easier to get motivated to start managing it effectively. psssst… Listen, I know that dealing with this kind of stuff and creating effective change in your life is hard – especially over the long run. It can feel frustrating and can even be defeating… and that’s where we give up on ourselves. Doing this alone is really hard… really hard.